To lessen the burden of worsening traffic here in Mega Manila, the current government is seeking the help of exclusive subdivisions to open their road for public vehicle and motors to be used. To most people, this step might be absurd, but to the government who is already in their peek of getting every help they need just to solve the problem, the idea is logical and their willing to do everything even finances if needed. According to Department of Transportation secretary Arthur Tugade in a committee hearing in the Senate that they are currently talking to the homeowners of some exclusive subdivisions around Metro Manila so to make access for public motorist use. However, some subdivisions is set to contest the request due to security concerns once their road will be publicly open for use. But the Transportation secretary said that they will definitely address the said concern and will even give security expense if needed just to make them approve the request. Tugade said, "Our choices for private roads will not be arbitrary or whimsical. We will not compromise the safety of the subdivisions. A security mechanism shall be in place. If need be, the security expense will be borne by the government." 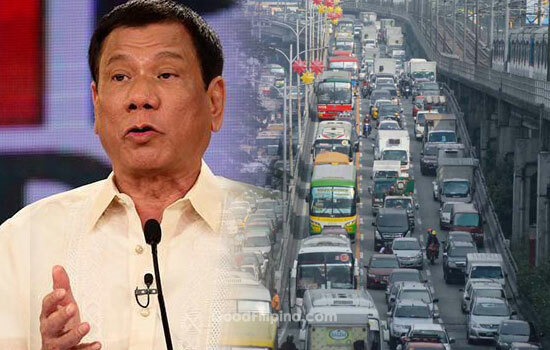 On the other hand, Senator Grace Poe said that it is time to grant emergency powers to President Rodrigo Duterte to address the country’s perennial traffic problems but cautioned against abusing these powers. "Extraordinary problems require extraordinary solutions….We must be open to innovative solutions and be ready to think outside the box," the senator said. What do you think of the proposal to open the roads inside the subdivision? Please took the comment box below and share your thoughts. Comments or suggestions about "The Government wants subdivision roads opened for public use" is important to us, you may share it by using the comment box below.